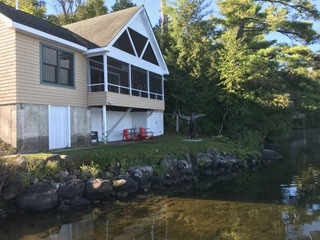 Sunset Cottage, located on the eastern shore of Brant Lake, is a perfect vacation spot for those who want to enjoy the many sites of the Adirondacks. 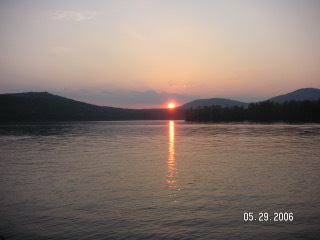 Brant Lake is located just 20 minutes north of Lake George and an hour south of Lake Placid. 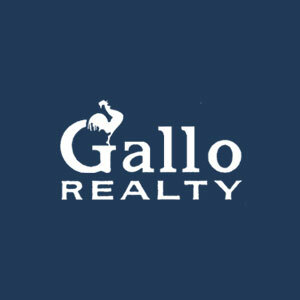 After a fun-filled day, enjoy a peaceful evening on the screen porch to watch the beautiful sunset as it fades over the gorgeous Adirondack mountains across the lake. It is the best way to end your day! 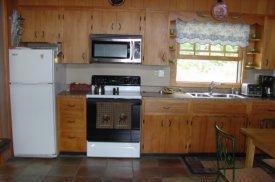 The kitchen is equipped with a stove/oven, refrigerator/freezer, microwave, and coffee maker. The first floor has a master bedroom with a queen bed and a private bath. 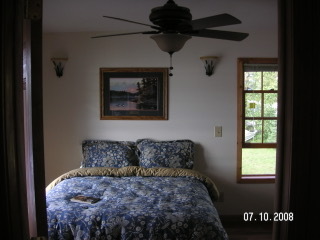 The second bedroom on the first floor is also furnished with a queen bed. The second floor is a loft bedroom with 2 twin beds. For additional sleeping space, there is a pull-out couch in the living room. All beds have blankets and pillows, but linens and towels are not provided. 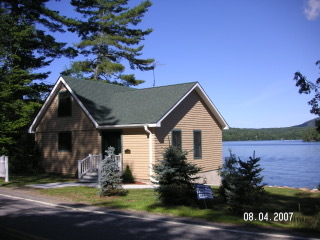 Other amenities include a gas grill and a charcoal grill, 4 kayaks and a rowboat, cable TV and wireless internet. 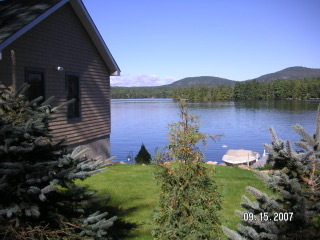 Enjoy this peaceful location with your own private swimming area, a dock, and a campfire area. 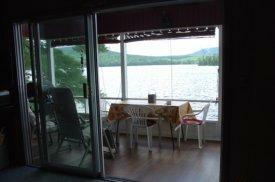 All you could expect for an Adirondack vacation on one of the most sought after lakes in the area. Pets will not be considered for this rental!